I love to hear stories with happy endings for shelter dogs. Some dogs are more adoptable than other yet all dogs deserve a good, loving home. 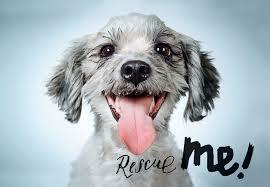 Simply For Dogs is a wonderful site that publishes lots of helpful information on dog adoption. Here are three short heartwarming stories from their site proving that all dogs deserve a second chance. If you’re thinking of adopting a new friend.please consider dog rescue and adoption you will not only take in a wonderful companion but will save a life and that’s in itself is a great feeling! Could there possibly be a better name for a rescue dog than “Hope”? Hope was found in a wildlife preserve, terrified and not wanting to be anywhere near humans. She had a broken hip, cause unknown, but given the condition of the dog, her rescuers had every reason to believe that she was probably thrown from a car. Hope was placed in a foster home where she was able to heal from her injuries and later placed in a forever home. Kirby was dropped off at an animal shelter. The little Dachshund had a chronic eye condition, and because of that was determined to be “unadoptable” and well on the road to being euthanized. However, he came to the attention of shelter worker Pramini Kanakaraj, who saw something worth saving in the little guy. Now he lives with Pramini and her other Doxies – one of the best endings to the best heartwarming dog rescue stories I can imagine! Dogo Argentinos aren’t always the most adoptable dogs, and don’t usually have happy endings to their stories. Nook Nook, though, was a deaf Dogo, and that meant that his chances were pretty much slim to none. Just two days before he was scheduled to be euthanized, Ariel Nichole Dehart found him, and fell in love. She didn’t care that he was deaf – he could learn sign language! Ariel says that Nook Nook is a big, sweet lap dog, and she loves him to distraction. What a wonderful, heartwarming dog rescue story! All of your favorite memories are playing right now an your station for the best oldies! EDGEWATER GOLD RADIO—–The best oldies on the best station. Listen from our website EDGEWATER GOLD RADIO.COM or on The tunein, Live 365, Nobex, Radio.net and Live 365 apps just to name a few. This entry was posted on Tuesday, April 9th, 2019 at 8:54 am	and is filed under Pet Supplies. You can follow any responses to this entry through the RSS 2.0 feed. Both comments and pings are currently closed.